Cape Cod Skin Care® and the Cape Cod Skin Care® logo are the registered trademarks of Cape Cod Skin Care®, LLC. The articles and artwork within this website are the copyrighted and trademarked property of Cape Cod Skin Care® and others. No part of the articles or artwork may be reproduced by any means or in any form whatsoever without written permission, except for brief quotations embodied in literary articles or reviews. Permission is ususally not difficult to receive, but we require that you ask for and get permission first. “The Logo” is the registered trademark of Cape Cod Skin Care®. “The Logo” may not be reproduced by any means or in any form whatsoever without written permission. 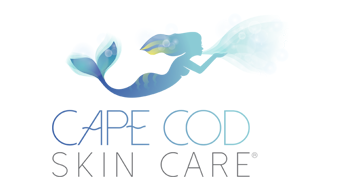 “The Logo” represents Cape Cod Skin Care®.